This week’s Color Friday – Red! – is inspired by a few red things I’ve recently sourced for clients that are particularly fabulous. The glass pendant is one of my favorite recent finds; but I’ll give you fair warning that it’s a light fixture on the pricier side, especially for its small stature! 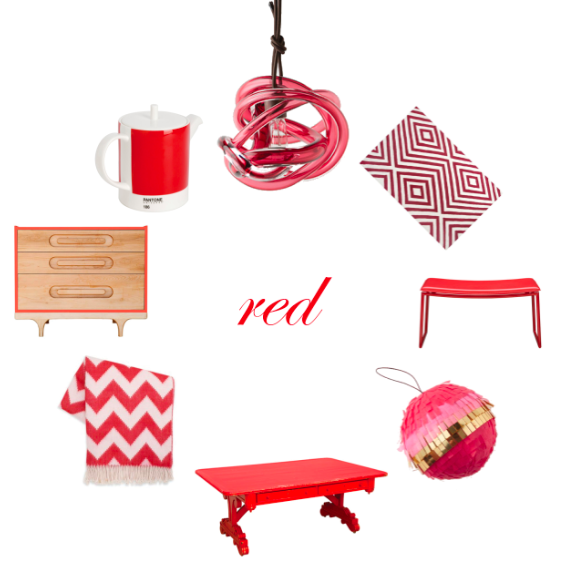 Enjoy these fun red finds, and have a great weekend! Mine is bookended with two school workdays and a sick husband, but thankfully I’m caught up on work and can relax for a few hours. Finally! Hope you’re up to something fun! ← Color (sort of) Friday: Colorful! I was just looking at Jonathan Adler’s throws and pillows!! !